Taylor Swift in concert at Gillette Stadium in 2015. This week, Swift — who has long made headlines for offstage romances, breakups, and celebrity beefs — is upping the ante with three nights at Gillette, as part of a seven-month, four-continent tour. Here’s a look back at 10 years of Swift’s performances in Massachusetts. Swift at the Comcast Center on Sep. 13, 2008. Onstage: At just 18 years old, Swift opened for country megastars Rascal Flatts on their “Still Feels Good” tour. Her first song was “I’m Only Me When I’m With You,” which Rolling Stone panned as one of Swift’s worst compositions. Just two months later, Swift would drop “Fearless,” an album that would go on to be diamond certified (sales and streaming equivalent sales of at least 10 million units), win album of the year at the Grammys, and launch her career. Swift at TD Garden on July 31, 2009. Onstage: Amid her own “Fearless” tour, Swift opened for Keith Urban. 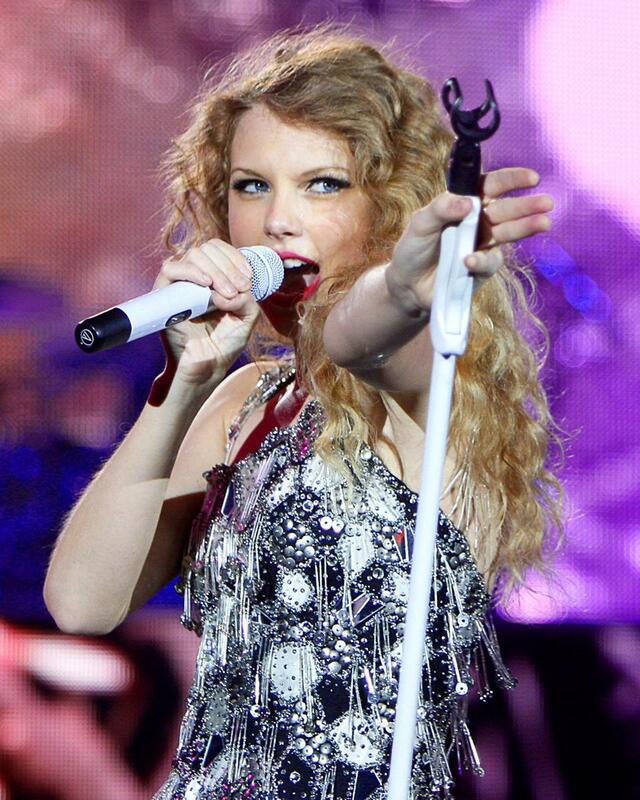 In Boston, she performed 11 songs, starting with “You Belong With Me,” one of her biggest hits. Just six weeks later, the song’s music video would win Swift best female video at the 2009 MTV Video Music Awards, a ceremony famously interrupted by Kanye West. Offstage: Only 19, Swift was vaulted to superstardom. That year, she was named Billboard’s artist of the year, appeared in the film “Valentine’s Day” and the “CSI” TV series, hosted “Saturday Night Live,” and dated teen heartthrob Taylor Lautner. Oh, and “Fearless” would be the best-selling album of the year. Swift at Gillette Stadium on June 6, 2010. Onstage: Before Swift took the stage for the first time at Gillette, fans saw three openers: Gloriana, Kellie Pickler, and a 16-year-old from Canada named Justin Bieber. Swift closed her encore with “Should’ve Said No,” a song that has resurfaced on her current tour. 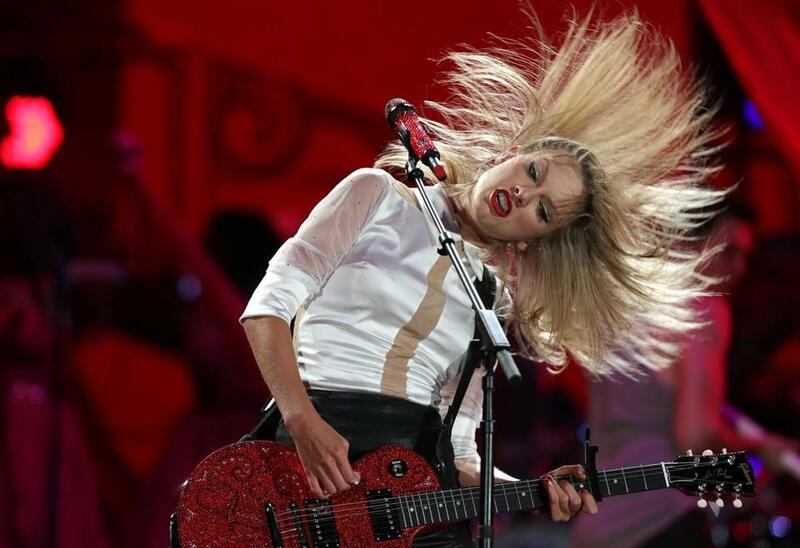 Swift performing at Gillette Stadium on June 25, 2011. Onstage: Swift’s second round at Gillette came amid her “Speak Now” world tour. She opened with “Sparks Fly,” footage of which formed much of the song’s music video. She closed with “Love Story,” a song she has performed on every headlining tour. Offstage: Though a crossover artist by 2011, country music wasn’t ready to relinquish its claim on Swift: She won the Country Music Association’s entertainer of the year award, having previously won in 2009. She also won her fourth songwriter/artist of the year award from the Nashville Songwriters Association International, and was named entertainer of the year by the Academy of Country Music. James Taylor and Taylor Swift at Tanglewood in 2012. Onstage: Swift, 22 years old, made a guest appearance with James Taylor, and the two Taylors — Swift has said she was named after the Boston-born balladeer — performed a duet of “Fire and Rain,” his 1970 megahit. She also performed her hit songs “Ours” and “Love Story,” and left to a standing ovation. Offstage: From July through September, Swift dated 18-year-old political legacy Conor Kennedy, grandson of Robert F. Kennedy. The two were seen on a Hyannis Port beach, and in August Swift bought her own Cape Cod home — seven bedrooms, five bathrooms, at $4.9 million — near the Kennedys. She sold it the next spring, at a profit. Onstage: Openers included Ed Sheeran, who has become one of the UK’s all-time best-selling artists. Swift closed with “We Are Never Ever Getting Back Together,” a pop hit reportedly about ex-boyfriend Jake Gyllenhaal. Offstage: “The Red Tour” would gross over $150 million, and in 2013 Swift was named artist of the year at the American Music Awards. After breaking up with One Direction singer Harry Styles in January, her high-profile love life took a pause. That year, Swift bought a beach mansion in Watch Hill, R.I.
Offstage: In the spring of 2014, Swift moved to New York City and began work on “1989,” an album of bona-fide pop anthems. Two weeks after the hospital visit, she released “Shake It Off,” which currently has more than 2.6 billion views on YouTube. Swift at Gillette Stadium on July 24, 2015. Onstage: On the “1989” world tour, which would reach some 2.2 million fans and earn $250 million in revenue, Swift greeted the Foxborough crowd with the album’s first track: “Welcome to New York.” Openers included Vance Joy, Shawn Mendes, and Haim. Offstage: In March, Swift began dating Scottish singer, DJ, and record producer Calvin Harris. The two would break up the following year. That same spring, Swift’s mother was diagnosed with cancer. She asked her fans to encourage their parents to get checked for any health problems. Swift on her 2018 “Reputation” tour in Glendale, Ariz.
Onstage: On her “Reputation” stadium tour thus far, Swift has performed songs from her new album (including “. . . Ready for It?,” “I Did Something Bad,” and “Look What You Made Me Do”) and past hits (“Shake It Off,” “Blank Space,” “Sparks Fly”). Openers include Charli XCX and Camila Cabello. Offstage: With a net worth over $320 million, according to Forbes, Swift remains a leader of pop (“Reputation” was globally the second-best-selling album of 2017, behind only “÷” by her former opener Ed Sheeran). 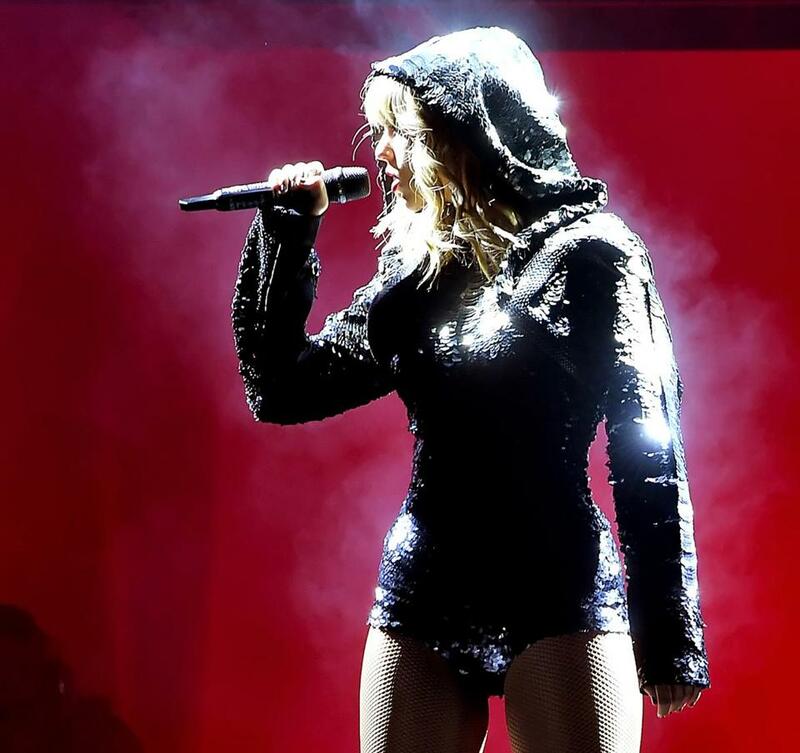 Critics were mixed on “Reputation,” and less-than-stellar ticket sales on this tour have led some to wonder if her star has dimmed. By the end of the weekend, we’ll know where the Foxborough faithful stand. Graham Ambrose can be reached at graham.ambrose@globe.com.